Adelaide is well on the way to becoming a Smart City and, with an enormous capacity for innovation, we are eager to embrace a better connected, more sustainable future. We are on the cusp of a new era in automotive technology with enormous potential to save lives, reduce greenhouse gas emissions, and transform mobility for people across Australia. Our roads are already some of the safest in the world and increasing advanced driver assist, connected and autonomous technologies have the potential to help cut the number of accidents further. 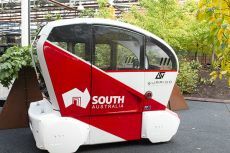 In 2016, the South Australian Government established a $10 million Future Mobility Lab Fund over the next three years to provided funding to projects that demonstrate, develop, or contribute to the applied research of Future Mobility technologies that provide real benefits to our communities. Building on the government’s introduction of legislation to allow on road trials of driverless cars, this investment aims to stimulate developments in connected and autonomous vehicles (CAVs). The Future Mobility Lab Fund received a very strong response with 42 applications worth more than $26 million from the opening round. This shows the level of interest in this area and the potential it has to improve the way we move around our cities and build new industries. 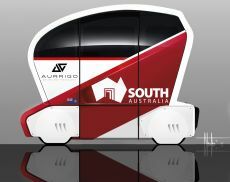 We are eager to unlock and attract industry investment to South Australia and further promote our reputation as one of the most welcoming environments for testing connected and autonomous vehicle technologies. South Australia is establishing itself as a test bed for innovation in transport. This test bed environment provides a place to trial new technologies as well as an ideal location for deploying commercial opportunities on our roads. 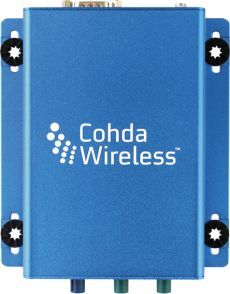 Projects that have received funding will contribute to the states transport mobility ecosystem by providing valuable information and research on first and last mile transport and freight solutions, increase capability in identification and prediction of traffic and consumer patterns, build on connected autonomous vehicle positioning and sensor product expertise and increase innovation in vehicle safety testing and solutions for interaction with CAVs on our roads. Future Mobility Lab projects are provided below or you can download the brochure here (PDF, 561 KB). Local Motors, an American vehicle manufacturing company has partnered with local company SAGE Automation to conduct a last mile driverless shuttle and interactive transportable bus stop trial at Holdfast Bay. The trial will utilise the Local Motors Olli Shuttle which will be fully integrated with the SAGE designed and manufactured smart OlliStop providing a fully connected first of its kind connected autonomous bus and bus stop platform. The South Australian Tourism Commission releases photographs and/or video footage solely for the purpose of positive promotion of South Australia as a tourism and travel destination. Any breach of this condition may result in legal action.